LIVERPOOL, UK (VIP NEWS) — Liverpool’s Kazimier Club is closing its doors to the public at the beginning of next year due to redevelopment plans for Wolstenholme Square, where the 480-capacity venue is based. However, the Kazimier name could yet live on as developer Elliot Group has offered it a new site within the scheme, and talks are ongoing. 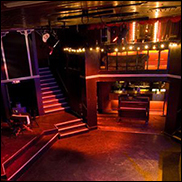 “We could never have envisioned the warmth of feeling The Kazimier Club has created since opening its doors seven years ago, nor could we have envisioned it surviving for as long as it has, but true to its original ethos we believe it needs to finish on a high, in the same bricks and mortar as its birth,” said a statement from management. Drenge, The Fall, John Power and Of Montreal are among upcoming acts at the venue, with details of a special program of events for its final nine months set to be released shortly.